The best Ink Studio in Patong, Phuket. 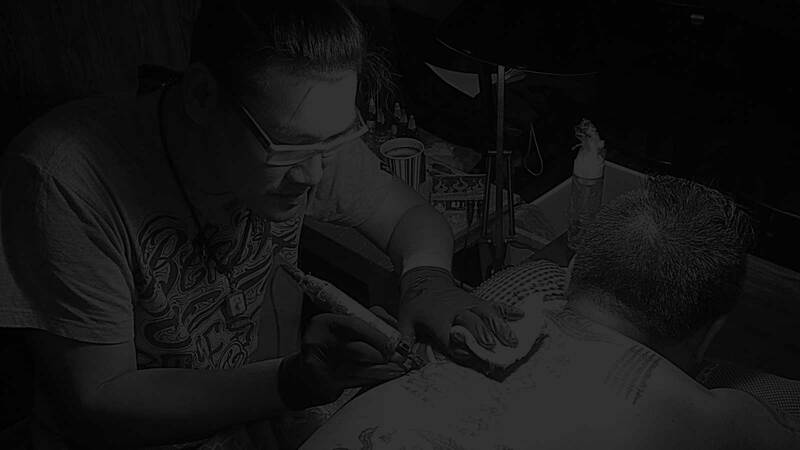 4eyestattoo studio and supply has been a trusted name in the Thai Tattoo industry for more than 10 years. 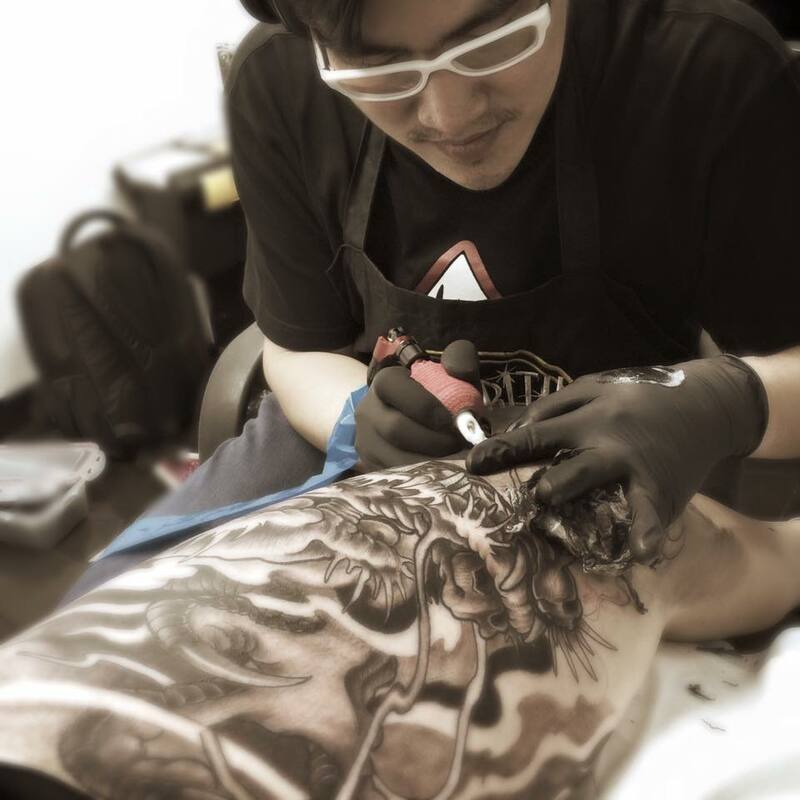 We pride ourselves to employ the best Tattoo artists and professionals such as Aun, Also Known As Dr Pain ! 4eyestattoo is also one of the major suppliers of professional Tattoo equipment in Thailand. We sell ink, tattoo machines, needles, tips, accessories and furniture. We only select the best popular brands that meet the highest standards in the tattoo industry. I have had the pleasure to use my skills and talent in the art of Tattooing for 4 years. I was born in Thailand and my heritage consists of two amazing worlds; being half-Thai and half-Chinese. Growing up and still to this day I have been forbidden to have tattoos of my own from my mother, though my passion for art and drawing led me to a career in the tattoo industry. Out of love and divine respect for my mother and my family I have remained true and still have no ink on my body. I feel like a blank canvas at times but like a painter I find my canvas on many different surfaces. I am not what would feel as an unillustrated artist, but, my visions and creations have had to go on others rather than on myself. I believe that you never stop learning and I work hard every day to better my skills; learn new techniques and increase my talent as an artist and in every aspect of my life. I don’t drink, smoke, or take substances nor have I ever done so. I have achieved so much in the short time I have been tattooing art on others and believe I have a successful and colorful career ahead of me in this prestigious industry. I have recently won awards in Sweden in 2016. I have traveled to England for guest appearances. I have a dream of tattooing throughout Europe and I am always looking for an opportunity to share my direct experience and knowledge. My portfolio is a direct reflection of my hard work and dedication to this industry and consists of every style and genre of tattooing. I can produce the highest quality detail in all aspects of this fascinating art and look forward to so many more years of applying the finest quality art and ink on all types of canvases. Or, use the following contact form here and send us a direct message... and plan your next PAINFUL session with 4eyesTattoo!